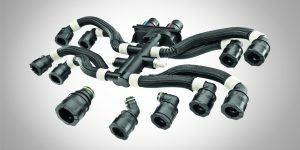 FRÄNKISCHE Industrial Pipes (FIP) with its flexible system for battery thermal management ensures optimum temperature control of the batteries in hybrid and electric vehicles thus further honing both their performance and service life. Electromobility is on the rise worldwide. FRÄNKISCHE Industrial Pipes, the globally operating development partner of OEMs and Tier 1 suppliers, has played a significant role in the mobility of the future for years. 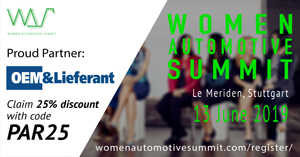 The ultimate goal for this expert in the automotive sector is to actively address the challenges and demands of e-mobility and to look ahead with a focus on solutions. The broad range of medium-conducting systems, corrugated conduits and protective hoses also includes efficient systems for battery temperature conditioning. 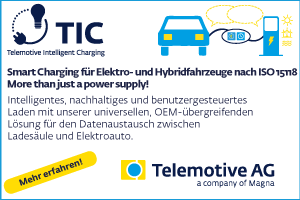 The highly sensitive batteries of electric and hybrid vehicles do not tolerate very high or low temperatures. Their service life very much depends on a constant operating temperature between +15 °C and +35 °C. To maintain this temperature range, FRÄNKISCHE Industrial Pipes develops and manufactures battery temperature control systems according to customers’ requirements. Lithium-ion batteries used in electromobility have an efficiency below 100% – the rest is emitted as heat. The temperature of the batteries may be neither too high nor too low if they are expected to work for at least 10 years without performance deterioration. This means that batteries require appropriate cooling or heating in order to avoid Performance decrease or damage as a result of too high or too low temperatures. This fundamental Task of a thermal management system implies a great deal of development effort and inventive innovation spirit. The result achieved by FRÄNKISCHE Industrial Pipes is a temperature control system ideally matching the battery and efficiently ensuring long Service life of batteries in electric vehicles due to its flexible concept. What is more, the structural components of the system are weight-saving, flexible as well as modular in various installation situations and are adapted to meet the demands of the OEM. The strength of FRANKISCHE Industrial Pipes is the enormous range of products, connectors, flexible corrugated pipes, blow-molded connecting elements, customer-specific Distributors and functional components, as well as anti-abrasion products – all from one Provider. FRÄNKISCHE Industrial Pipes offers individual Solutions designed to meet customers‘ requirements and undergoing constant refinement, enhancement and adjustment in collaboration with the customers. The flexible cooling circuits offer substantial Advantages compared to rubber or metal solutions. Among other benefits, they have better Performance in terms of impact resistance and flexural strength, and their structural design makes them light-weight. They prevent corrosion and are easy to assemble. The system by FIP has lower sensitivity to hydrolysis and features good mechanical properties attributed to the use of polyamide. Even complex geometries can be produced with the flexibility available. Space-optimized connectors and various connector systems with integrated temperature sensors complement the product portfolio of the ducting System.